Add your name to the Snapchat September 2015 List for a chance to be one of the Snapchat featured users to follow. My highest view total so far has been 1.6k and that was during the end of the week. I am certain that high school and college students were just looking for entertainment. That said, it seems like there is always someone on Snapchat that is looking to view your story. So, I would say the way to get more views on Snapchat Stories is to start by sharing stories. When you see something interesting or think of a clever comment share a story. When you see a great quote or hear a funny joke share the story. Snapchat is a place where you cannot share too much. This is very unusual for social media because websites like Facebook, Twitter and Instagram get worse with the more content shared. On Snapchat the more stories, the better. I would also ask some of your friends and the people following you what they like or dislike about your stories. 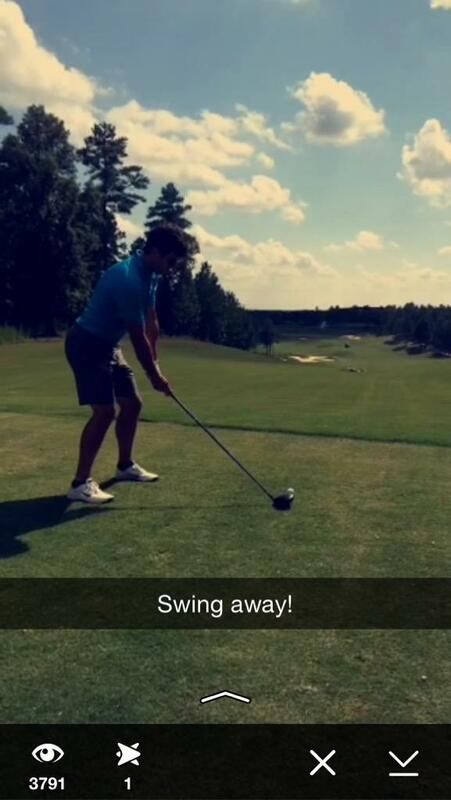 You may be a huge golf fan, like me, and you like to share golf videos. Some people may hate your golf videos and will stop watching your stories because you share so many. All that said, I would strongly suggest sharing what you love. This will make your stories more interesting. 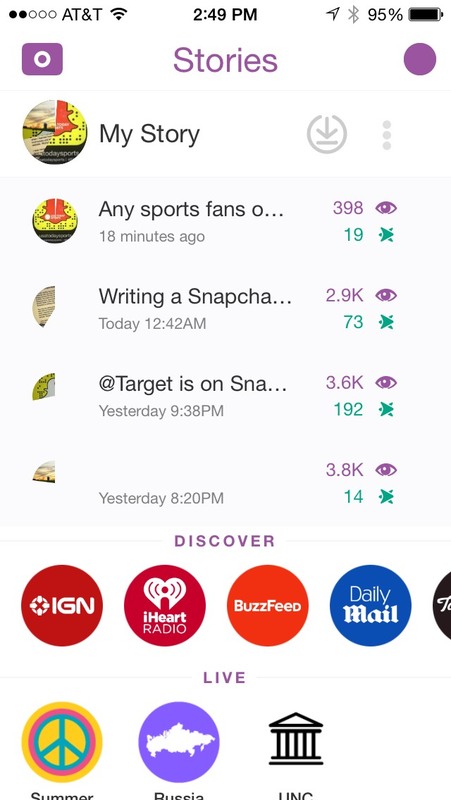 MLB Wednesdays Snapchat Story on May 13th, 2015 | Is Snapchat Down? Why Aren’t My Views Updating? I really want views on my story!! ADD ME AT CARLITOSERGINA NEED MORE VIEWS. I will make you laugh so much ! Add me on snapchat lovelivekay ? Snapchat : sofiamehlil6 add me. Please add me @lewlew.j . I promise. You won’t ever get bored with me on your story. add me!! @sarenidid ill add ya back! Fernanda.srm add me I always add back! I model come check it out ? Add me @sean7bishop I’ll make you laugh! Mariasanandreas – Add for more fun ! I watch every ones story’s hopefully u watch mines too. Add Me On Snapchat @Badestt_queen??? ?And Snap Me I’ll Reply?? View my story , and I’ll return the favor . Add me @chrissytastic4 & I will add you back!!!!!!!????? Add me @YoncesGroom ?? I be lit ?✊? Add me on snapchat plss ! Add me on sc:bhadbrownskinn I’m goofy? get me to 2.6k ?????? Add: Visoh I’ll add back! Add me : malek_lafi!! im adding everyone back! My goal is to reach 1K views! 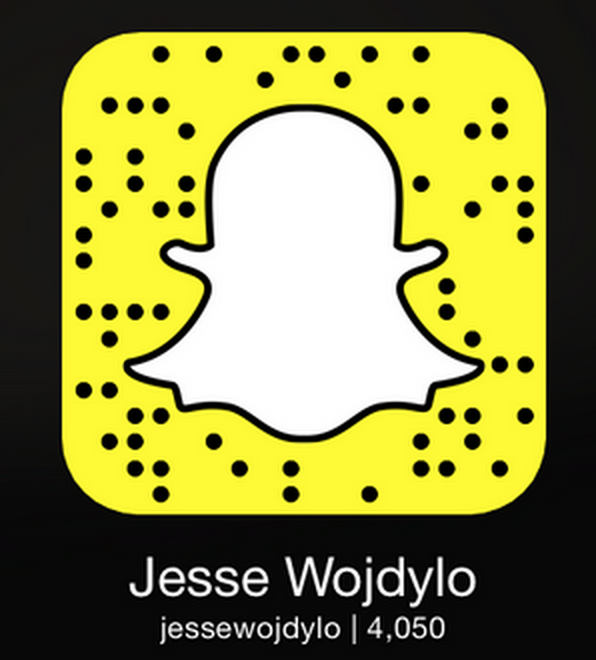 add me on Snapchat and I’ll add you back!! Add me / “king_michael26” i add back ? ADD ME :kdunn1266!!! ADD ME :kdunn1266!!! ADD ME :kdunn1266!!! Add me @leahsanaa I add back ? Add me on snapchat at basictony. Very interesting stories to tell on snap. Add me on snapchat!!!! @ChenCleiz ? ADD ME PLEASE!!! SoArrogant1989 ???? I will view your story if you view mine ? Add me on Snapchat: yofavvdarkskinn?✌ I’ll add u back I swear?. I want to meet new people around the world! Add me moelker2000 i want to add you back!!? Add my snap chat niee16 for more views. add mike_kingston400 i add back and view stories if you view mine! I’ll watch ur snap too?? add me on Sc e904blaze ~Eric. i also do shout outs so s/o for s/o <3. That’s a zero by the way . My snaps are really interesting, I draw, I rap, and I give really helpful advice. Trust me! I’ve been struggling to get a lot of views for a month or 2. The highest number of views I ever reached was 80+. I wanna reach at least 100+ more views on all of my snaps. I know how to have fun. Add me Ill add back. Add Me On Snap angelie_1226 yall shorty is puerto rican juuuu hurddd!!!! !